Let’s taco ’bout how much I crave tacos. It’s pretty much every day. I didn’t realize until the Rogers Park Taco Crawl how close I am to quality Mexican food restaurants. 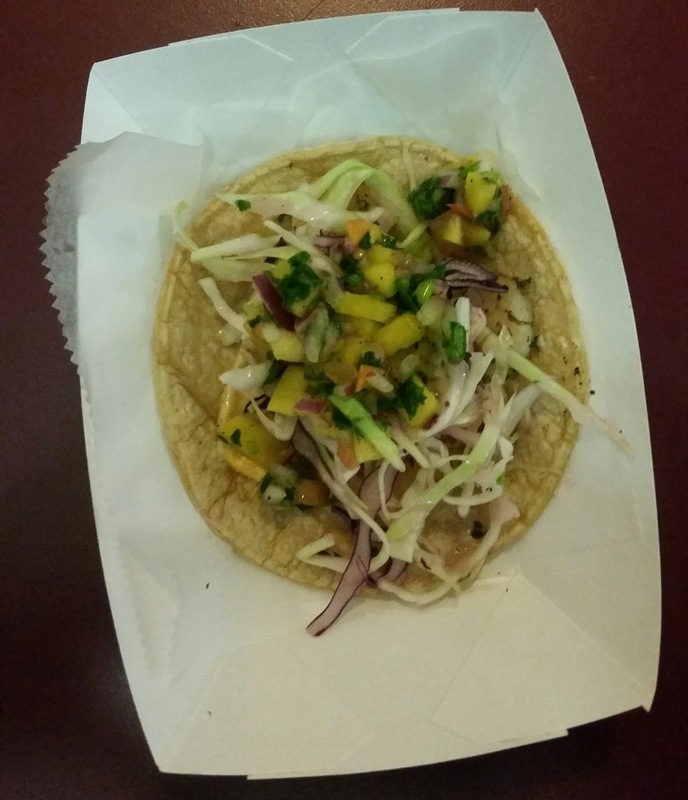 Tickets for the taco crawl, organized by the Rogers Park Business Alliance, were $10 and were good for 10 tacos at 10 local eateries. All of them were along Clark Street. 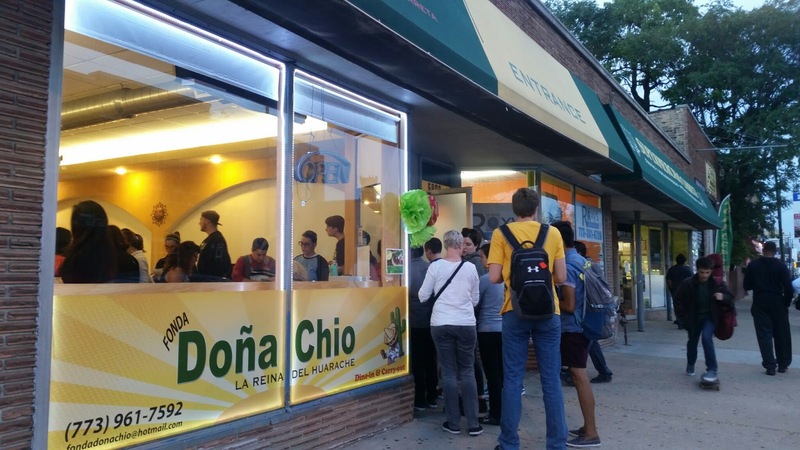 The crawl began at Fonda Doña Chio, where taco lovers got a punch card and coupons for future visits. The restaurant was the most crowded of all stops because it was the first. The squash blossom tacos were delicious and flavorful. I could have had a couple more. Next we walked to the corner of Morse and Clark, where musicians were performing and more tacos were being served. Our next stop was several block south. We walked to El Pulpo Loco for shrimp tacos. I am still thinking about the taco. I will be back to El Pulpo Loco for more. Shrimp taco from El Pulpo Loco on Clark Street in Rogers Park. By this point my companion had eaten four tacos and only had room for one more. We walked to Taqueria Hernandez for the last one of the night. It was more of a quesadilla with carne asada (that I gave to Graham). Despite not eating all 10 tacos, the taco crawl was worth the investment because I learned about authentic Mexican restaurants that are worth the visit and I saw a part of Rogers Park I had not explored. It was also my first crawl. I hope the Rogers Park Business Alliance organizes more of these events.